Over the past couple of weeks we’ve been unveiling Sparta Nutrition upcoming Keto Series made up of five ketogenic supplements. Today we’ve got details on the fifth and final product, the energy and thermogenic enhanced Keto Shred. 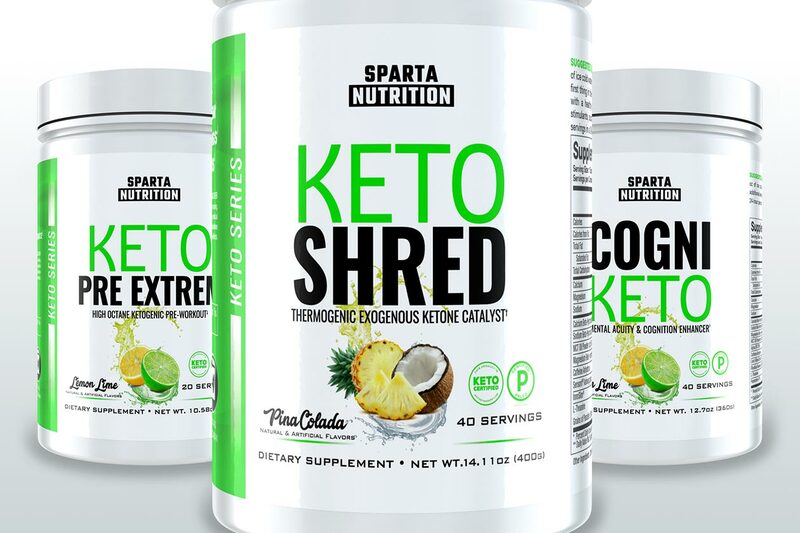 Sparta Nutrition Keto Shred is like a lot of the other Keto Series supplements, combining BHB ketones with ingredients from another category of product. In the case of Keto Shred, it is BHB ketones mixed with a handful of features more commonly found in stimulant powered weight loss formulas. For Keto Shred, Sparta has dosed its energy fueling BHB ketones at 6g per serving, much like in Keto Pre Extreme. Also just like the brand’s Keto Series focus supplement Cogni Keto, it has MCT oil powder in the mix as well, at a dose of 1.5g per serving. On the other side of Sparta Keto Shred, you have its extra energy and fat burning ingredients. That includes 175mg of the stimulant caffeine, 125mg each of Sensoril branded ashwagandha and InnoSlim, 100mg of theanine, and 50mg of grains of paradise. Altogether the ingredients in Keto Shred promise the ultimate ketogenic, weight loss experience. Sparta says users can look forward to reduced appetite and cravings, increased energy and focus, maximized metabolism, and the use of body fat for fuel. The product essentially brings together the power of ketones and fat loss boosting ingredients. Sparta Nutrition is still promoting its Keto Series as launching sometime very soon. As mentioned earlier, Keto Shred is just one of the five products in the line, the other four being Keto BCAA, the convenient Keto Coffee, Keto Pre Extreme, and the extremely well formulated Cogni Keto.